Mulberry CEO Thierry Andretta said the company had made “significant progress”. 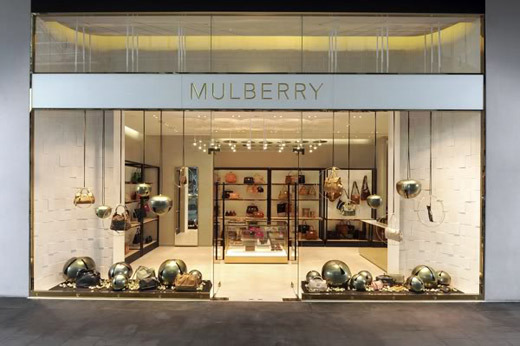 Mulberry Group plc., said Thursday that its annual pre-tax profits in the year up to March 31 increased from 1.9 million pounds to 6.2 million pounds with sales increasing by 5 percent up to 155.9 million pounds. Its full-year profits were up and total retail sales up to June 11 were up by 9 percent, with like-for like sales up 4 percent. The company specializing in leather handbags, has been seeing profitability drop as it tried to compete with brands in the high street like Prada and Fendi. Mulberry has been introducing new designs and brought in new lines priced in the lower ranges between 500 pounds and 800 pounds. The decision to move down in the price range came after the company failed to sell bags priced at 1,000 pounds and over, which analysts claim to be a “misguided” strategy. The current change in strategy seems to be working for the company. According to chief executive Thierry Andretta, the company made “significant process” during the past year. The accessory company was able to reach profits after tax of 2.7 million pounds as opposed to a loss last year worth 1.4 million pounds. Earnings per share for the year rose up to 4.5 pence compared to a loss per share of 2.3 pence in the year previous. The company’s board recommended a dividend payment to be given out at 5.0p per ordinary share on November 24 to shareholders who were on the register at October 28. “We have built a strong foundation for future growth as a result of the investment made in product design and development as well as our omni-channel infrastructure,” Andretta said. Digital sales also boosted the company’s growth by nearly one-fifth at 19 percent. “Looking forward, we will invest further in developing exciting new product, whilst continuing to engage with our core UK and growing international customer base,” Andretta added. According to the company, they expect sales to grow even further until 31 March 2017 under the new creative direction of Johnny Coca. They expect both omni-sales channels and digital sales to continue to grow in importance with regard to the business. “The first collection introduced by our new Creative Director, Johnny Coca, has been well received by both the UK and international press and partners,” Andretta said in a statement. Coca joined the company last year with his first collection for the brand hitting the runway during the London Fashion Week in February. Senior analyst at Verdict Retail, Nivindya Sharma, said that the “results are a crucial indicator of the efficacy of their strategy” with Andretta and Coca in charge covering the first full year. “Thankfully, they did not disappoint, as the brand unveiled strong sales growth across both its UK and international divisions – though UK results are inflated due to weak comparatives,” she added. Wholesale sales, however dipped slightly down to 37.2 million pounds from 38.8 million pounds as a result of the challenging local market in Asia. Mulberry traded at 1,025 pence on Wednesday’s close down -1.18 percent. Receive Mulberry Group Plc News & Ratings Via Email - Enter your email address below to receive a concise daily summary of the latest news and analysts' ratings for Mulberry Group Plc with MarketBeat.com's FREE daily email newsletter.